Wallet v1.51 (10-11-2018) online !!! 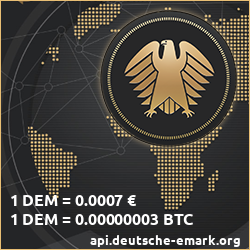 this is our thread about the Deutsche eMark - an alternate Cryptocurrency! Also any ideas are welcome.